I have had the opportunity to be a part of a really cool project in Edmonton Area called Adopt a District. Basically it is an evening where all of the Units in a district meet together in the same space. The girls all meet in one room and the leaders meet in another and do their Safe Guide training, and branch-specific trainings they need to be ready for the year. I volunteered to help out with the girl portion of the event. We decided that we would do a basic meeting plan that is adaptable for all age levels for all of the districts we go to. 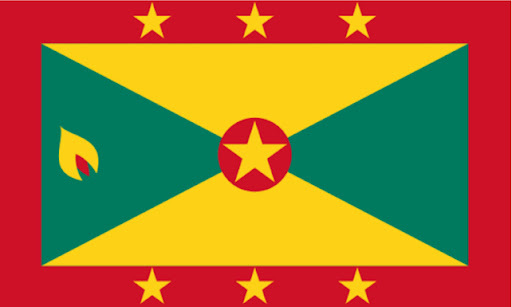 We decided to have a Grenada and Curacao theme, celebrating GGC’s twinning partners. By participating in the meeting, the girls earn the Twinning Challenge crest. 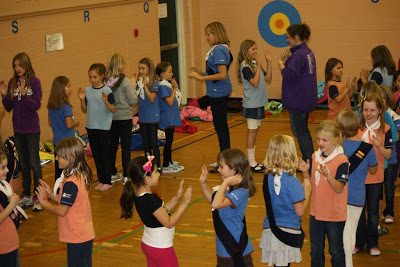 The activities included making finger puppets of Canadian Girl Guides and Girl Guides from Grenada and Curacao to show the similarities and differences between the uniforms. We also did a Grenada flag relay race where the girls had to put together the different parts of the flag and learn what all of the symbols mean. It was a lot of fun to see the girls running back and forth with the pieces of the flag while their team was cheering them on. Great team spirit! 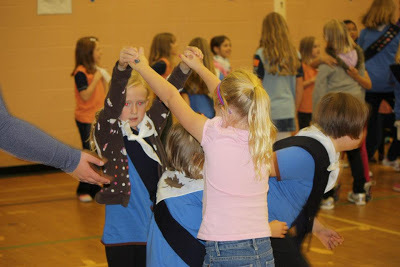 We also learned the songs “Caimarusa” and “I let her go go” which was a lot of fun with the Sparks, Brownies and Guides. The actions for the two songs were a little challenging at first but the girls definitely got the hang of it! Here is the link to hear Caimarusa and here is a video of “I let her go go”. The actions we use are a bit different, but it is the same general idea. 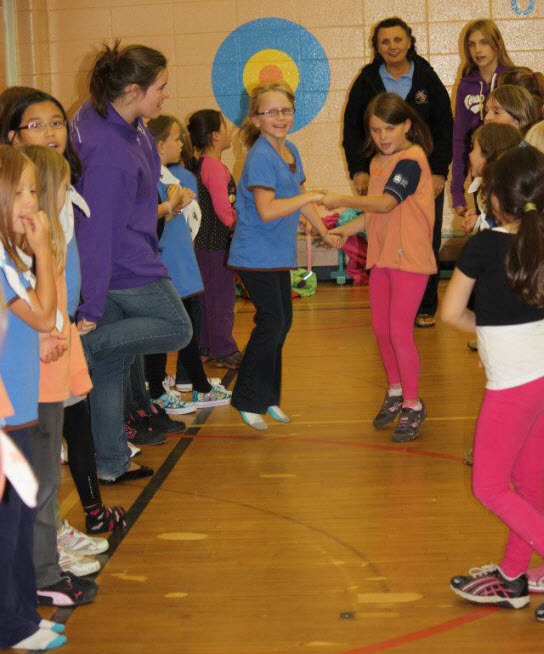 Overall I think it is a really cool project idea and I am looking forward to going to all of the districts in Edmonton so the girls can learn about our twins, and the leaders can get the training they need for a successful Guiding year. All photo credit of the evening goes to Nadine Beyersbergen Weiting. Thanks for letting me use your pictures! By guest blogger Shannon. Shannon was one of Canada’s representatives at the Young Women’s World Forum 2010 in Oxfordshire, England. She started the project Girl Guides for Change, is an organization that focuses on the United Nations’ Millennium Development Goal #1: to eradicate poverty and hunger by 2015. Won’t you join her? This entry was posted in Awesome Activities and tagged challenge, district, meeting ideas, twinning. Bookmark the permalink. Coming from Grenada and mvoing up the ranks from Brownies all the way up to a leader. Living in Canada now for quite sometime and being in Guiding it’s nice to see how the Girls can relate with similarities and differences it’s nice to see our flag in that piece it was a nice piece put together well done Girls. I enjoyed it.